The only place you’ll be able to get your hands on the HTC Surround will be via big box retailer Best Buy. 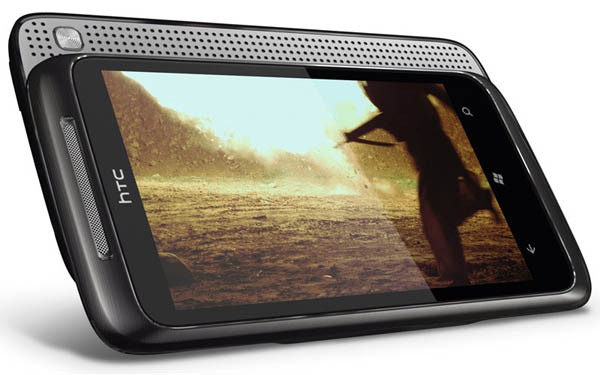 In case you haven’t been paying attention, the HTC Surround is the WP7 phone that has slide-out speakers, Dolby surround sound, and a built-in kick-stand, which makes it obviously a media-centered phone. It’ll set you back $199 on a two year contract, and be available on November 8. The HTC Surround is the first smart phone at Best Buy to feature Windows Phone 7. It retails for $199 with new two-year activation and will be in stores on Nov. 8. With Windows Phone 7, the things that matter most to people, such as games, music and video, photos and office productivity are organized through integrated experiences known as Hubs and fueled by the rich experiences of Xbox LIVE, Zune, Bing, and Office. The HTC Surround includes integrated Dolby Mobile and SRS surround sound speakers. The speakers slide-out and reveal a kickstand for watching video beneath its 3.8-inch touch screen.